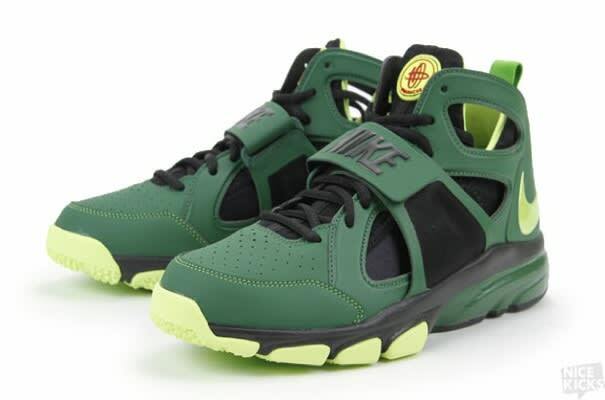 Nike Zoom Huarache Trainer "Green Hornet"
These comic book-inspired "Green Hornets" are arguably the most anticipated of the new Huarache Trainer pack. So anticipated, in fact, that acquiring them on their release date (today!) may be a job for a sneakerhead superhero. Or a cool guy with a cell phone. It&apos;s worth a shot, though, hit Nice Kicks to try your luck.